There is absolutely no question about it ... the past 5 or so years have been brutal on the home building industry and builders in general. However, as the economy continues to struggle towards improvement (and many signs are pointing to that right now), the needs of many continue to be overwhelming. Working in the building industry allows us several perks, one being the ability to purchase supplies in bulk fairly inexpensively. Many of you likely have the situation where you end up with surplus materials and/or items that you don’t need or can’t use. With that in mind, please consider helping Habitat for Humanity. They are in dire need of donated, extra and unneeded building materials, appliances, light fixtures and pretty much anything that goes into a home. The mission of the Medina County ReStore is to divert usable building and home improvement materials from local landfills; we do this by selling donated materials to the general public at a fraction of typical retail prices. 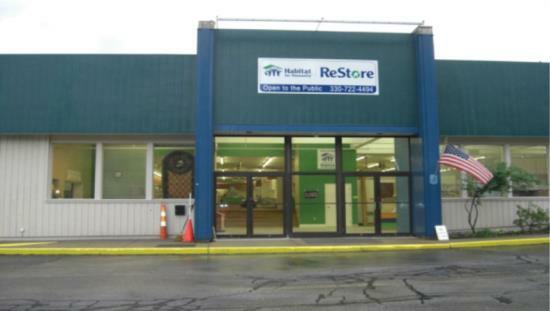 The ReStore accepts donations of building and home improvement materials. Please contact the ReStore if you have questions about donations. You can drop off a donation during the ReStore’s hours of operation or call the donation line (330-722-4494) to make the necessary arrangements to have us come and get your donation at your convenience. Your donation to the store may be tax deductible as we are a 501(c) (3) public charity. Please contact your tax advisor for more information. Thank you for your support! What do our profits help support? 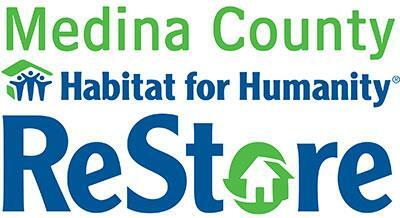 All of the profits earned from the ReStore directly benefit future builds by the Medina County Habitat for Humanity affiliate and aid Habitats’ mission of providing home ownership opportunities for low income families. Our store is staffed entirely by volunteers. What types of products do we sell and where do they come from? The ReStore inventory is predominately comprised of items accepted as donations. Typical inventory includes, but is not limited to, moldings, doors, siding, lumber, plumbing, hardware, sinks, toilets, bathtubs, showers, cabinets and countertops, roofing materials, electrical hardware, lighting, wall and floor coverings, windows and many other home improvement items. All products for sale are new or usable and are evaluated by the ReStore staff for functionality and customer appeal before being accepted as a donation. The ReStore has many volunteer options. We are always looking for volunteers in the store to help assist customers and to unload donations. Please sign up to volunteer - click here. MCHBA Members - we are looking for material donations. Please call the store with any questions. 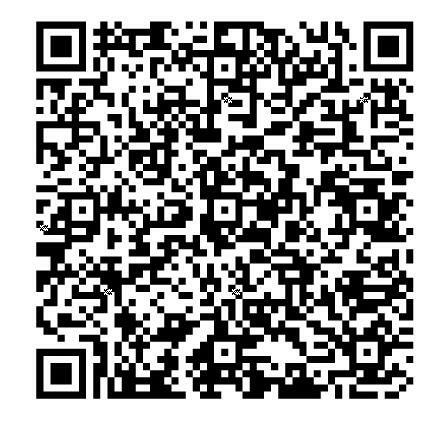 Scan the QR code below to sign up for the Habitat for Humanity Newsletter. Thank you for your consideration of this very worthwhile cause.